This moment for you child is the most important period to learn. 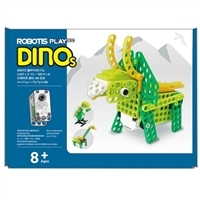 Stimulate their brain with Robotis Play for enjoyable and didactic edutainment! You can build 7 robot examples with Robotis play 300, including the Brachio, Triceratops, and Tyranno.